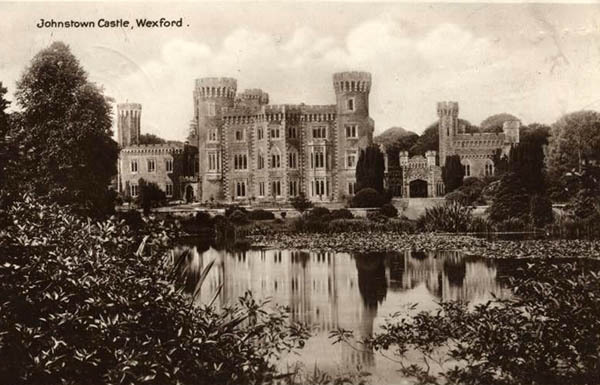 The estate has been home to two prominent Wexford families. The first owners were the Esmondes; a Norman family who settled in the county in the 1170s. They constructed the tower houses at Johnstown and Rathlannon during the 15th or 16th century. During the Cromwellian period of 1640s the estate was confiscated and changed hands several times before being acquired by John Grogan in 1692, whose descendents remained at Johnstown up until 1945. 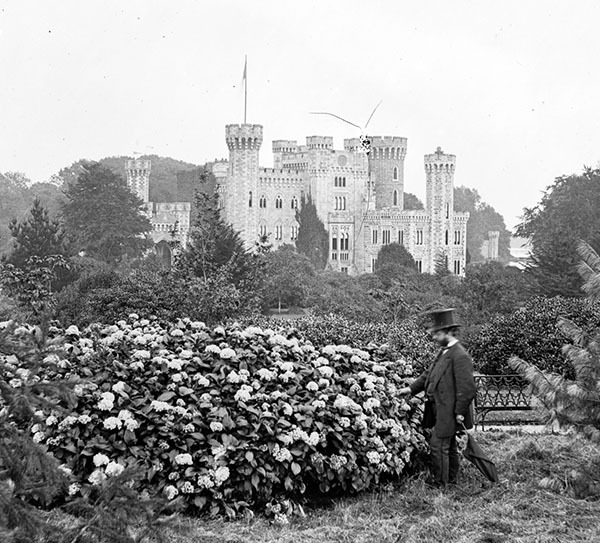 In this year Maurice Victor Lakin presented Johnstown Castle estate as a gift to the Nation. In the 1830s, Daniel Robertson was commissioned to turn an earlier house, possibly by Thomas Hopper, into a vast Tudor revival castle. Later designs exist by James Pain for a gothic facade. 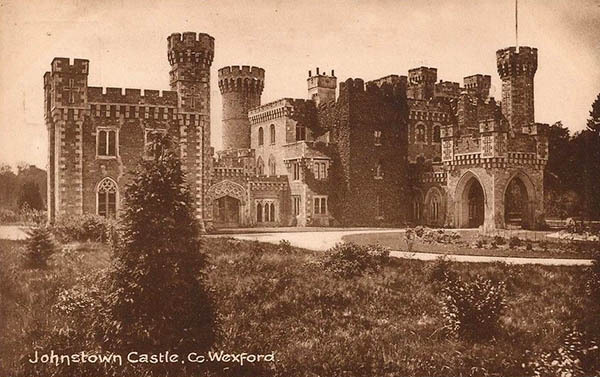 By the 1860s Johnstown Castle estate was at its peak of development and comprised of a large demesne of over 1,000 acres. It was divided in two with a deer park to the north, and the castle, pleasure grounds, home farm and two lakes to the south. 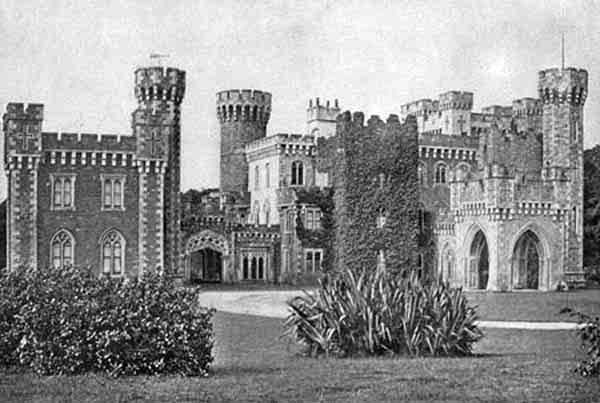 Today Teagasc, the Agricultural and Food Development Authority, is the owner of the Johnstown Castle estate and has a research facility on site. The walled gardens and hothouses were originally laid out between 1844-1851 and retain their early design today. They are surrounded by a high wall and contain 4 acres, and are visitable by the public.